It will seem like to be between the sky and the sea of Ustica, on a ship’s bow where you can get a breathtaking view of the island charming sea from. 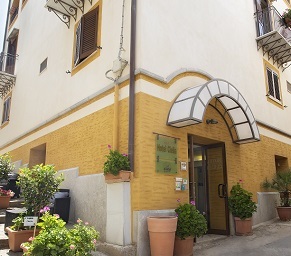 This is the magic atmosphere that “The prua d’amare” offers, four flats with fourteen beds far just one hundred metres from the town’ square. Settled in a oasis of colours and perfumes of the mediterranean vegetation, Stella Marina Residence with its panoramic position, seems to be suspended between the sea and the sky. Dominating the wonderful Ustica port, it provides all the services and amenities you like and the value you expect. 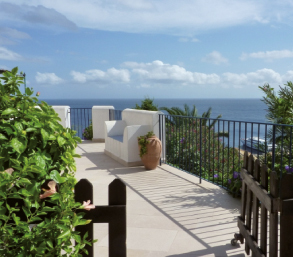 Le Terrazze Residence is located in one of the more evocative and strategic location of Ustica, about 100 mt. from Piazza Umberto I and about 200 mt. 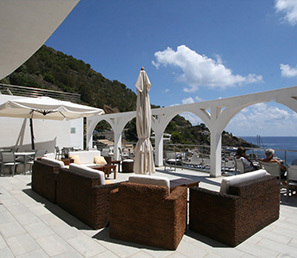 from the harbor, with a stunning panoramic views of the village, Mezzaluna hamlet and Cala S. Maria (port), the residence "Le Terrazze", renovated in 2006, offers studios apartments for 2, 3 or 4 people. 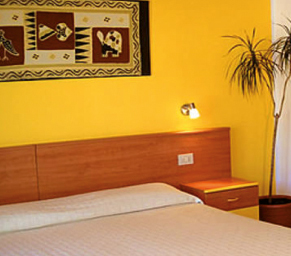 The hotel is one of the historical accommodation facilities in Ustica. 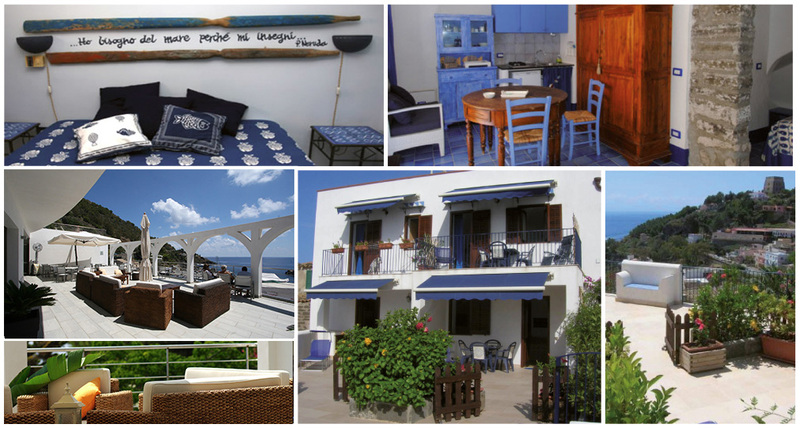 it's in the heart of Ustica town centre, a few steps away from the main square. It is easy to reach all the touristic places and shops. The hotel has 26 new rooms. it's a 3-star structure, but the owners wanted to keep the family atmosphere which has always characterised their service.